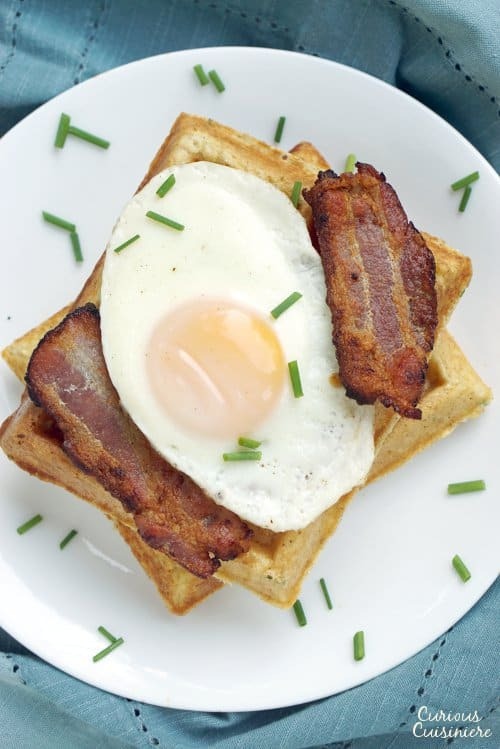 A stack of delicious, savory Cornmeal Waffles is the perfect breakfast or dinner, particularly with a fried egg and bacon! Sure, we all love a stack of sweet waffles covered in maple syrup with a generous pat of salted butter melting into all the wonderful waffle crevasses. 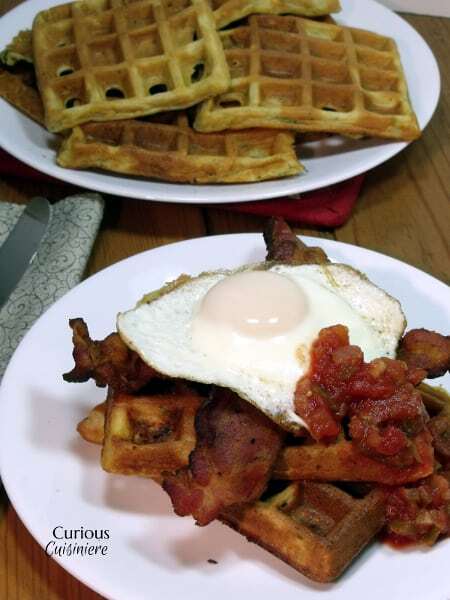 But, have you ever ventured into the realm of savory waffles? 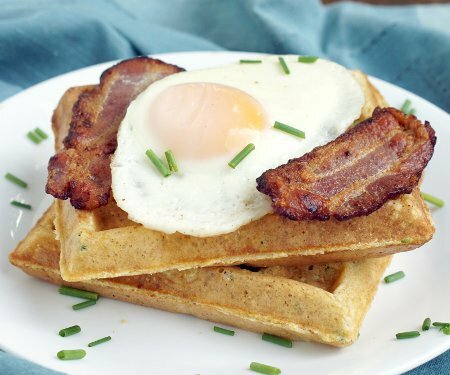 These savory cornmeal waffles get a smoky Southern US kick with the addition of cumin. 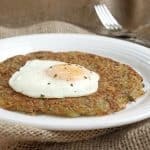 Chives in the waffle batter gives them a light onion flavor that complements a fried egg perfectly. 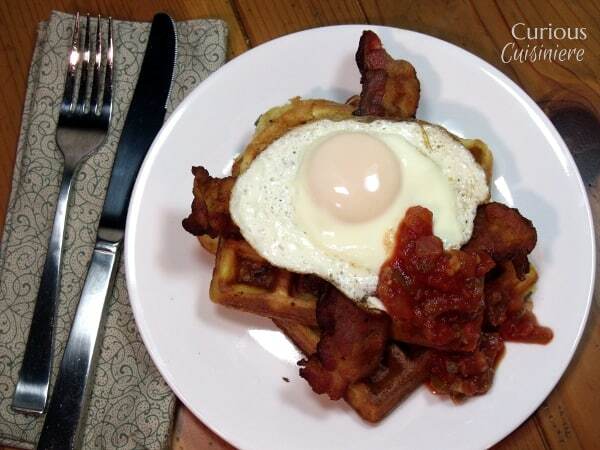 And, just in case you’re really missing your oozing sauce with these waffles: a runny fried egg does just the trick. 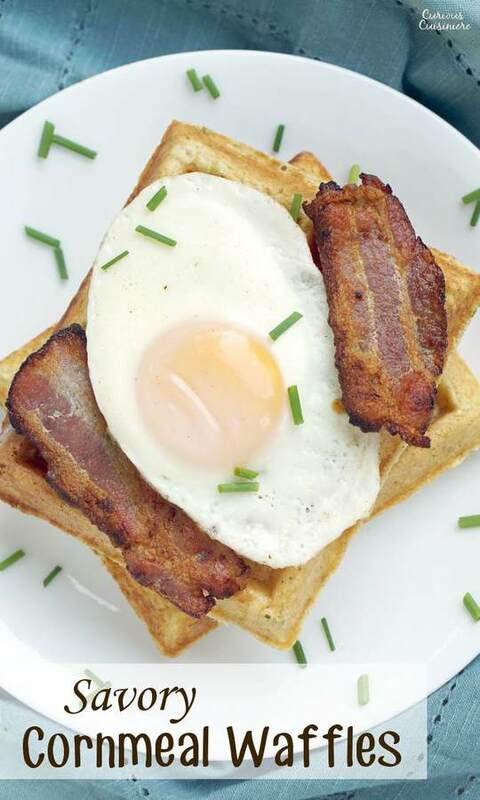 Add some crispy bacon, and you’re in savory waffle heaven. 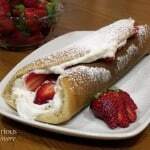 We can totally call these breakfast, dinner, or anything in between! Preheat your waffle iron. Preheat your oven to its lowest setting to keep your finished waffles warm. 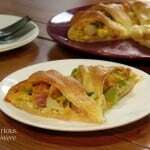 In a large bowl, combine flour, cornmeal, sugar, baking powder, baking soda, and seasonings. Mix to combine. Add the melted butter and eggs to your buttermilk and whisk to combine. Add the wet mixture to flour and stir until just incorporated. Spray your waffle iron with a non-stick spray (if necesary). Fill your iron and cook the waffles according to your iron's directions. Continue until all the batter has been transformed, keeping the finished waffles warm in the oven. *Don't have buttermilk? Place slightly over 1 Tbsp of vinegar in a 2 cup liquid measure. Add milk to reach 1 1/4 cups. Let the mixture stand for 5-10 minutes before using in the waffle recipe. 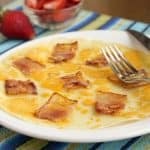 This recipe from 2013 was updated in June 2017. We made the waffles even more delicious! Enjoy! 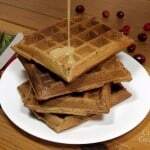 Your waffle recipe looks YUMMMM! Definitely adding bacon and a runny egg. More YUMMMM! Breakfast for dinner! I love the idea of a savory waffle – I’ve got to make these. What a great pick this month!! Waffles are always such a treat! 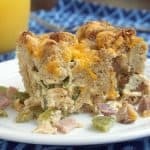 Love the idea of adding cornmeal! I have been wanting to try a savory waffle 🙂 now I have a recipe to work with!! Great SRC pick! This recipe just made the Must Have Soon List. 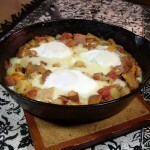 I do LUV savory waffles, but tend to use them more as a bread substitute for chili and hearty soups. Ready for a change. What a great idea! 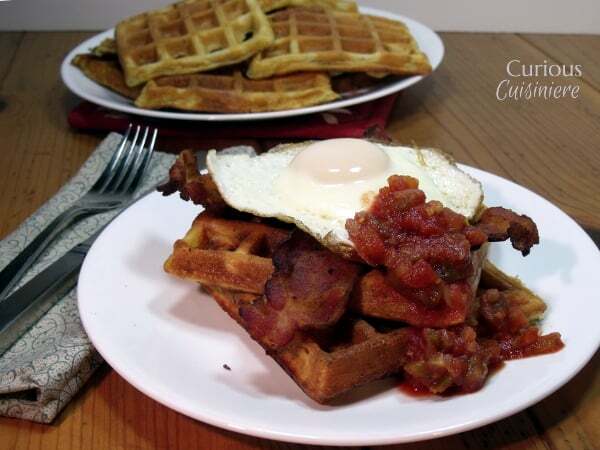 We are totally making savory waffles the next time we have chili! Looks delicious! What a wonderful pick! So glad you enjoyed these. I love these things, they’ve quickly become a family favorite. Happy reveal day! 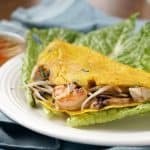 I would love this for dinner, as well! Great SRC choice! I love the breakfast combination. So unique! Great SRC pick this month! I LOVE the combination of flavors here, what a hearty breakfast!